MDC Alliance aspiring member of parliament for Mufakose constituency, Susan Matsunga has predicted victory for Nelson Chamisa in the 30 July harmonized elections saying the overwhelming response he is receiving from his countrywide rallies points to a landslide. Speaking at a Women In Politics gathering in Mufakose yesterday, Matsunga who is currently the Proportional Representation legislator for Harare province said she had no doubts that Chamisa will garner at least 70 percent in the elections later this month. “My president is winning 75 percent. This is measured by the response we have been getting from the people across the country particularly in rural areas where people are calling for change which signals a paradigm shift in our politics. “In rural areas we used to receive low votes because traditionally our supporters have been concentrated in urban centres but this time things have changed,” said Matsunga. She added that Chamisa will usher in a government that will swiftly deal with problems women face in Zimbabwe. 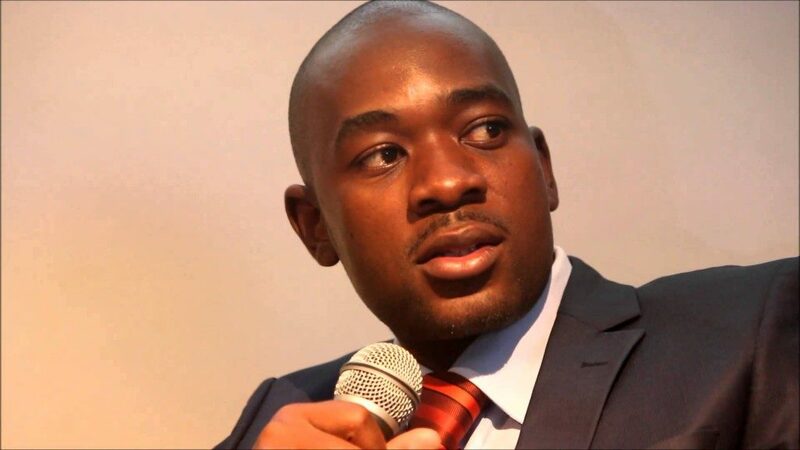 “President Chamisa has capacity to bring solutions to the problems we face today. He has shown this during the Government of National Unity (GNU). “He advocated for ICT reforms and the telecommunication saw an overhaul that see us today enjoying so many benefits of that, so he will look into women’s participation in agriculture and other self sustaining projects for women to improve their livelihoods,” she said. Matsunga accused Zimbabwe Electoral Commission (ZEC) of conniving with some political parties to deny the opposition chances of winning the elections. “If ZEC does not meet all the demands our President has tabled, we shall abide by the instructions he shall give us going forward. If it means no elections that is it,” she added. MDC Deputy Secretary General and Harare metropolitan aspiring senator, Paurina Mpariwa said the discouraging conditions in which workers are operating under will end the moment Chamisa assumes office. “We are tired of seeing our people working while at the end of the month they do not get their money. Chamisa’s government is committed to give workers their money while improving working conditions. “Teachers are no longer committed to their work because working conditions are discouraging they too should be able to access their salaries with no difficulties to restore motivation and dignity,” she said.